We will immediately dispatch an emergency response team to assess the situation and begin mitigation and clean up. While we guarantee to arrive within two hours, time is of the essence so we highly recommend that property owners begin moving anything valuable away from the source of water. During the initial call, there are a few basic questions that will help our team get to work upon arrival. What type of flooding are we dealing with? What is the extent of the flooding? What type of water is it? Are emergency Pack Out services required? Is the flooding ongoing, or has the cause of the flooding stopped? As soon as our response team arrives on site, we begin to assess the area with a focus on stopping the leak (if ongoing) and plan for water extraction (step 3). We revisit the assessment once the threat is contained and flooding addressed, looking for any problem areas not identified in the emergency inspection. As soon as our response team arrives on site, we begin to assess the area and focus on stopping the leak (if ongoing) and water extraction. We start with an emergency inspection and, once the threat is contained and flooding addressed, follow up with a more detailed assessment. 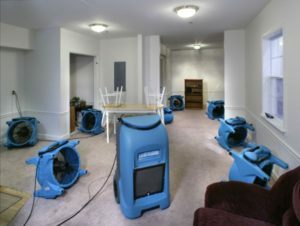 Once the cleanup process is started, we will immediately begin to Dry and Dehumidify the affected areas. We will use a large assortment of tools as needed to remove water and moisture very quickly. We will lift carpet as necessary and create channels in walls, floors, behind cabinets, in ceilings as necessary for our blowers and other drying equipment to remove all moisture. This process will greatly reduce the possibility of mold becoming a problem in affected areas. Touch Up Services: If their was not any major structural damage to the area, Royal Family E.S. will touch up any paint and other finishes to restore the area to its former state. If the area suffered severe damage and reconstruction efforts are required, please see below for a quick overview of our Reconstruction Services. 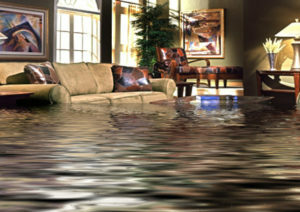 If the affected property requires partial or complete rebuilding or repair, Royal Family E.S. offers heavy restoration services as well. We will work to fully restore the area to its former condition or even to improve and remodel the area to the owner’s specifications to give the area a new look all together. Once the primary Damage Restoration & Reconstruction services are completed, we will begin work to restore it to the condition prior to the problem. We will begin final clean up, removing all of our equipment, remaining debris, dirt & grime from the area. All visible water damaged structural elements will be sanded down to “no stain”. Property that was moved off site for restoration will be unpacked and returned to their original locations. All flooring & carpet will be restored to a like new state or completely replaced. Royal Family E.S. will apply various air filtration techniques and cleaning measures to prevent mold & odor problems. All crawl spaces and HVAC systems receive HEPA Vacuum treatment that will remove any latent particles as small as .3 microns with 99.7% efficiency. If the HVAC System was damaged beyond repair, Royal Family E.S. will work with the customer to purchase and install a replacement. Once the restoration work is completed, Royal Family E.S. will work with property owners to help them prevent Mold Contamination from occurring in the future. Mold problems are usually associated with water and moisture, and during the Assessment phase of our Water Damage Restoration process we go to great lengths to locate and identify all sources of unwanted moisture in the affected area. 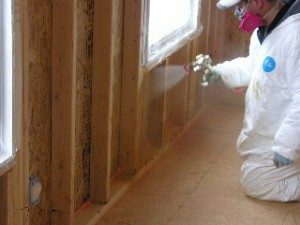 With our help, your property will be restored to its previous condition and we will take the steps necessary to prevent problems with odors and mold in the future.